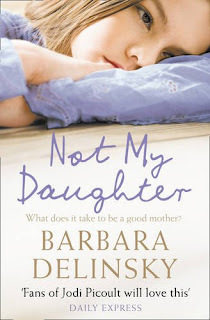 It has been far too long since I read a Barbara Delinsky novel, and that became ever more clear to me as I listened to this audiobook any chance I got - washing dishes, ironing, walking to and from town, cooking dinner, etc. This was one of those books that really got my emotions riled up, but in a good way. There's a definite difference between stirred up emotions over anger at a character, or anger at the way a character is being treated. 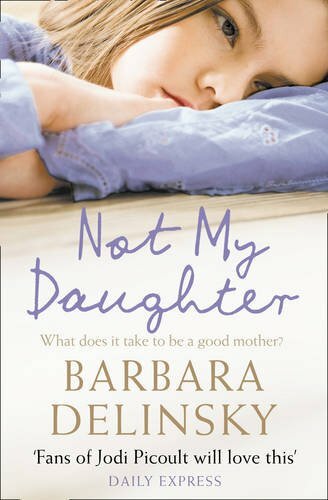 In this book's case, it was the second one, and I became increasingly annoyed at the way everyone blamed Susan for her daughter's pregnancy. This book brought up a lot of important questions about parenting and responsibility, and in particular: at what stage do you stop being accountable for your children's actions? Sometimes, no matter how much you have talked to your child about a certain issue, they'll still ignore your advice and do their own thing. There were a couple of issues I had with this book, just based on the fact that I'm Scottish and situations like this would be treated entirely differently over here. For example, a principal could not be fired because her daughter got pregnant, and if a school board did try to do this, the teacher's union would get involved! And over here, I'm fairly certain the legal age for procreating is sixteen, even if you can't drive, drink or vote yet. You can also get married at sixteen. So Susan wouldn't have been held accountable for Lily's pregnancy, which I think is a good thing as seventeen year olds aren't children any longer! So I got pretty annoyed at the sections with the school board as it was entirely unjust to consider firing Susan over the actions of her nearly adult daughter. This was a very compelling novel, probably one of Barbara's best so far. It ranks right up there along with While My Sister Sleeps, Shades of Grace and The Family Tree. I'm so glad I picked this audiobook as it reminded me of how much I enjoy Barbara's family sagas, especially the way that she looks at situations from the view points of all the parties involved and examines how they each cope with the crisis at hand. I almost wish she'd revisit Lily and her friends sometime, once their children are grown up, and see how their friendships have changed over time. I will definitely be making an effort to seek out more books from Barbara and I'm so glad that Not My Daughter rekindled my love for her writing.